followed a man who works in a historic flour mill. 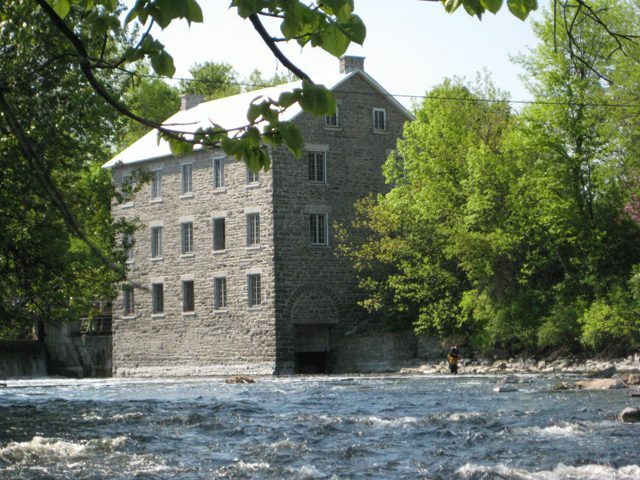 Bill Schaubs volunteers his time at Watson’s Mill in Ottawa, Ontario. 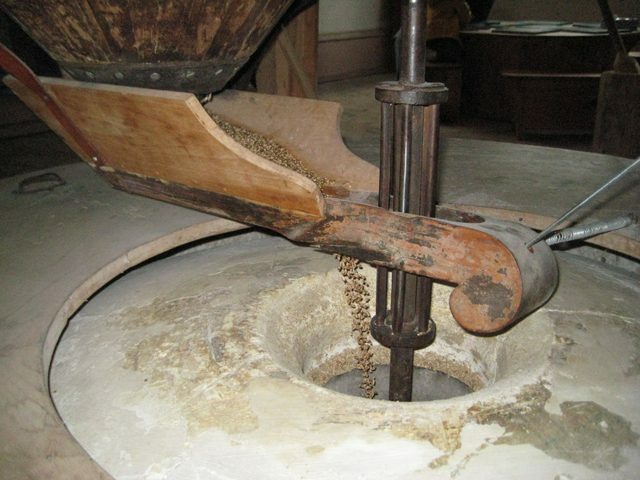 Millstones have something in common with car tires – their “tread” eventually wears down. and re-chip the many grooves and surfaces, using hammer-sized picks. find in the yellow pages. many skills, old or new. But stone-ground flour is a specialty product. It isn’t always found at your nearby supermarket. preserves wheat’s natural oils and nutrients. Larry Ellis is a big fan of bread made from this flour. 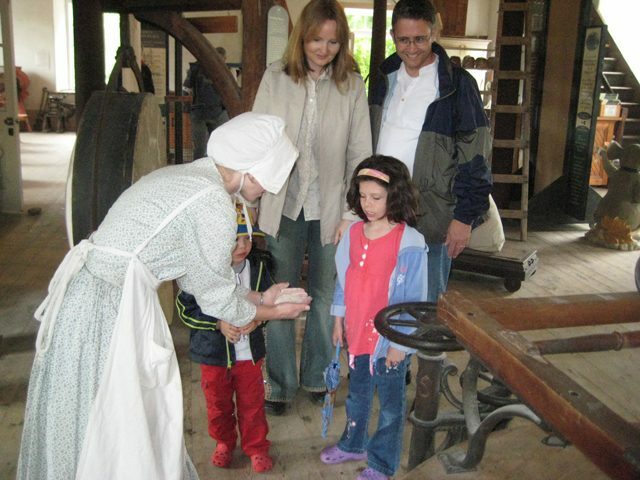 to Upper Canada Village, an 1860’s era Heritage Park with its own grist mill. because society doesn’t always know when they might be needed. 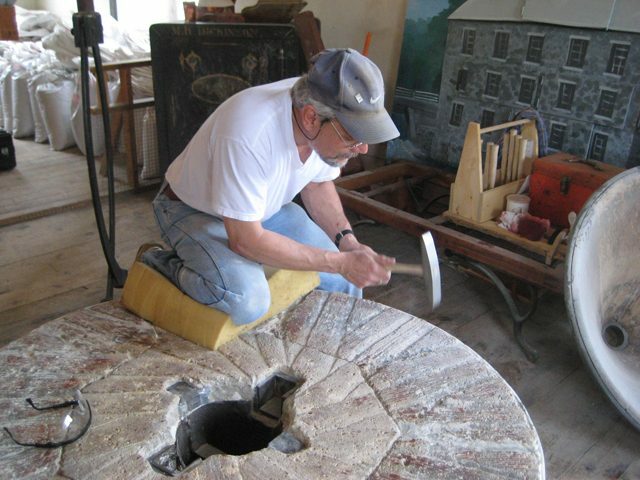 Back inside Watson’s Mill, the freshly-dressed millstones are ready to go. This is the test run. 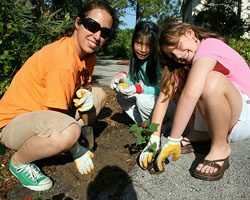 For The Environment Report, I’m Lucy Martin.